Microsoft’s Zune player could be the next breakthrough in the game which Apple knows best. In fact, Microsoft claim that Zune HD can outplace iPod Touch. Such claim is possible to take place especially that there have been so many technological advancements made by Microsoft to simply cover out the popularity of iPod Touch. There are also major advantages which can be found in Zune players but not in iPod Touch. One of the major advantages of Zune HD over iPod is the Wi-Fi connectivity. 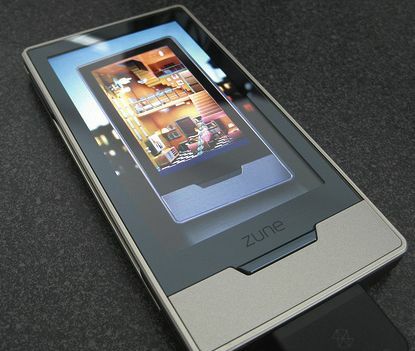 The world was amazed when Microsoft introduced Zune to the market in November. Wi-Fi is another step up which eventually brought portable players to higher grounds. Music lovers can enjoy their favorite beat anywhere, anytime with ease. Aside from that, they can also socialize through the Net and connect to their friends using their portable media player. But wait, there’s more! One can share or exchange songs using their own Zune portable players through Wi-Fi network. This makes Microsoft’s product more preferred by young ones. With this new technological leap, Zune has made a lot of hype to all technology watchers. The point is, there is no other portable players which offer Wi-Fi connectivity, not even iPod Touch. Another feature which Zune HD is proud to offer to its users is the Integrated Marketplace. This feature enables the users to access large database of music, new and old, without the need of downloading them to your PC first hand. So, when talking about the real portable media device, Zune is just the most appropriate device. But aside from that, the Integrated Marketplace enables users to download any music they like for flat fee rate. Therefore, you can choose and save as many songs as you really want to satisfy your musical needs. What you need is a Wi-Fi network to be able to use this feature. Zune is the first portable media device to ever conceive such idea. Microsoft is just so confidence that iPod Touch has no much with their new product. The above mentioned features are just two of the many advantages of Microsoft’s Zune over Apple’s iPod Touch. Aside from that, there have been rumors that Microsoft Corporation would like to integrate VoIp phone into Zune’s more sophisticated engineering. It is simply possible to have such feature because almost all of the hardware required are already in there. Microphone is the only one lacking. Zune HD vs Ipod Touch from Yaya on Vimeo.